Bud Foster has sustained success for decades via a defensive scheme devised to outnumber at the point of attack, and then funnel the ball carrier to the unblocked alley defender. 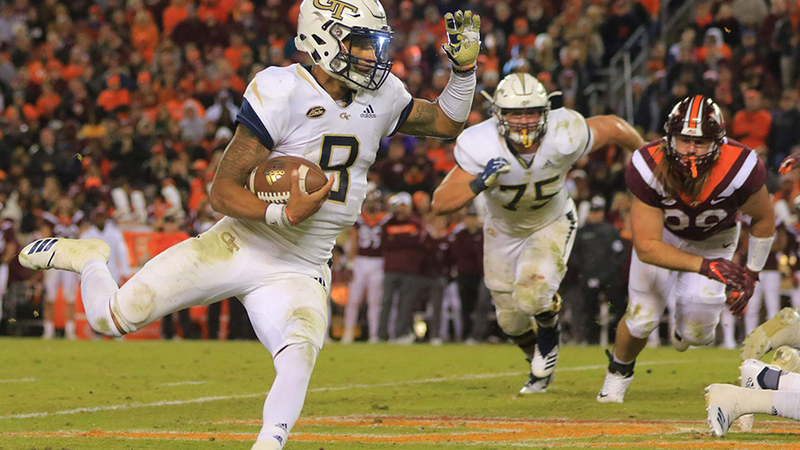 The flexbone offense, Paul Johnson's specialty, completely undermines the ability for any defense to win with numbers. The flexbone presents multiple running options to freeze the defense, which then allows Georgia Tech blockers time to get great blocking angles. The flexbone, even without the triple option, can tie up unblocked defenders because of the threat of multiple runners on a single run action.